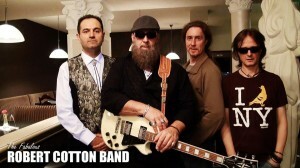 The Fabulous Robert Cotton Band is a tasty mix of Chicago Style and Texas Blues…….., the recipe for good time blues! We cover material from the King of the Blues, Mr. B.B. King to the Texas twister himself, Stevie Ray Vaughn, and everything in between. We’ll even throw in a few surprises for you, just for good measure. Yes indeed….. 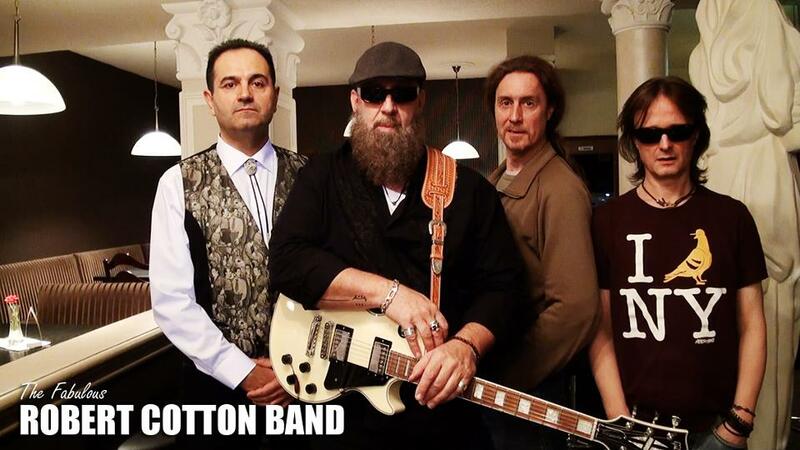 The Robert Cotton Band…. fronted by Robert Cotton on lead Vocal, Guitar and Harmonica. Robert has been singing the Blues with various bands, and doing solo gigs since.…. well, like forever man. Originally born and raised in Chicago Illinois, …U..S…of A.. spending hours hanging around clubs like Coco Taylors, Buddy Guys Legions and Kingston Mines as an underaged teenager. Club managers would sometimes turn their head and allow Robert to sit in a dark corner and watch… listen… learn… from the blues greatest players. From solo traditional Blues performances played the way the originals were played on a resonator guitar, to the jumping rock’n electric blues of today, if its Blues, Robert is at home. Emotion, and soulful passion, are the foundation for Robert’s unique style. You just got to hear it…! The Fabulous Robert Cotton Band experience are hand picked to make each and every show true entertainment and a memorable evening for the entire audience.